Hey there bridesmaid or bride! 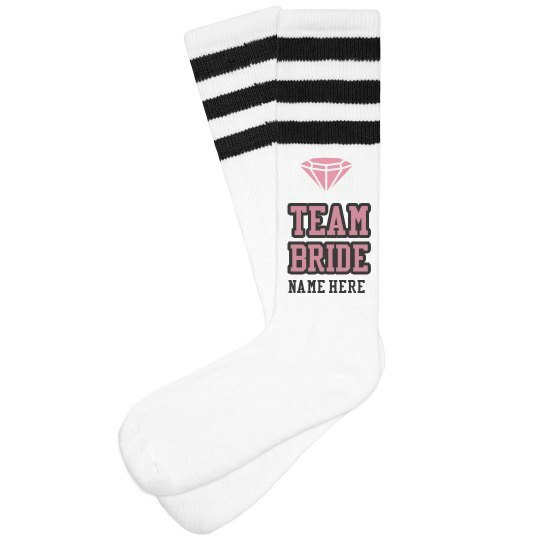 Want to show off you are a member of Team Bride? Great! Then design some socks with your name on them. Get everyone matching socks with their name on it to wear to the bachelorette party.